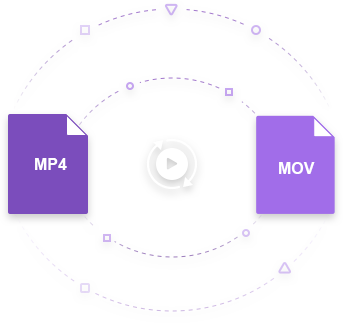 Convert MP4 to MOV, AVI, MKV, and 1000+ video/audio formats. The MOV file extension is the most common used format associated with Apple videos and QuickTime video clips. The file format was specifically developed by Apple for QuickTime Player, but it’s also compatible with both MacOS and Microsoft platforms. The .MOV files are highly capable of storing 2 or more tracks, which can be effects, graphic, text, audio, or video. This kind of flexibility makes the MOV file format very popular for both video and music editing. The MP4 file extension, on the other hand, is a very popular file extension. And most of videos on popular video streaming sites are downloaded in MP4 format. So to enable the videos to play on QuickTime player smoothly, MP4 videos do not often play on QuickTime player, and if you desire the flexibility of .MOV file, there is a need to convert videos from MP4 to MOV. There are many online MP4 to MOV converters that you can use for this conversion and we will be looking at some of them. Given the fact that we can’t be online at all time, you might want to consider an alternative for your online MP4 to MOV video converter. One of the best video converters that would let you convert MP4 to MOV offline is Wondershare UniConverter (originally Wondershare Video Converter Ultimate). The main function of Wondershare UniConverter (originally Wondershare Video Converter Ultimate) is to convert video files from one format to another, including MP4 to MOV and vice versa, and many other video formats. In addition to that, this video converter also enables you to edit, watch, transfer, download, and create all types of video files from almost any kind of sources. Wondershare UniConverter (originally Wondershare Video Converter Ultimate) also gives the users the ability to trim clips and adjust video quality, such as the brightness and contrast, adding subtitles and watermarks to your videos. There’s no reason for you to worry about losing the quality when converting videos with it as their video experts were hard pressed in order to find even the smallest flaws in the audio of picture of the converted file. Lastly, what makes this the best online video converter alternative is that this software lets you to transfer MOV files from your laptop or computer to your mobile devices without iTunes and don't cover your original videos in the iPhone/iPad devices. All the convenience and comfort of video conversion is completely provided by Wondershare UniConverter (originally Wondershare Video Converter Ultimate). Step 1 Launch Wondershare MOV converter Mac and load MP4 files from your Mac. 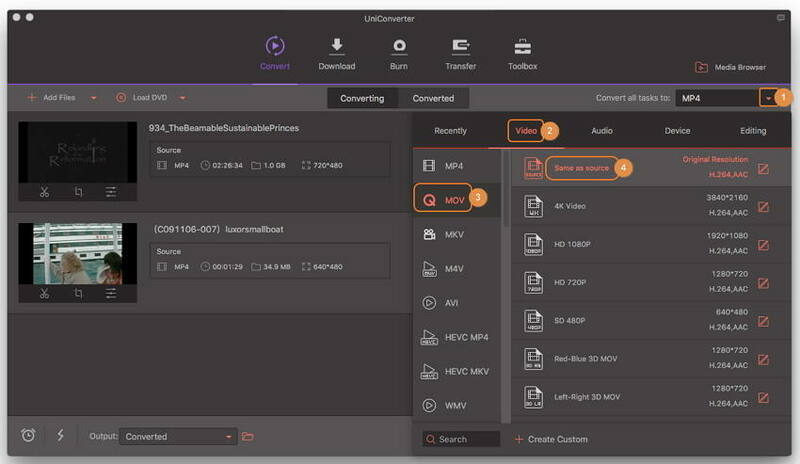 Download, install and launch Wondershare UniConverter (originally Wondershare Video Converter Ultimate) software on your Mac. Then, you need to add the desired MP4 files from your Mac to the software by either simply drag or drop or clicking Add Files to browse and load the files. Multiple MP4 files can also be added for batch conversion. Step 2 Select MOV as the output format. Select MOV from the output section by clicking the drop-down list beside Convert all tasks to: > Video > MOV > the resolution. Note: You can edit the video by clicking one of the editing icons under the video thumbnail before the MP4 to MOV conversion. Step 3 Start converting MP4 to MOV on Mac. Click Convert icon to initiate the MP4 to MOV conversion process. 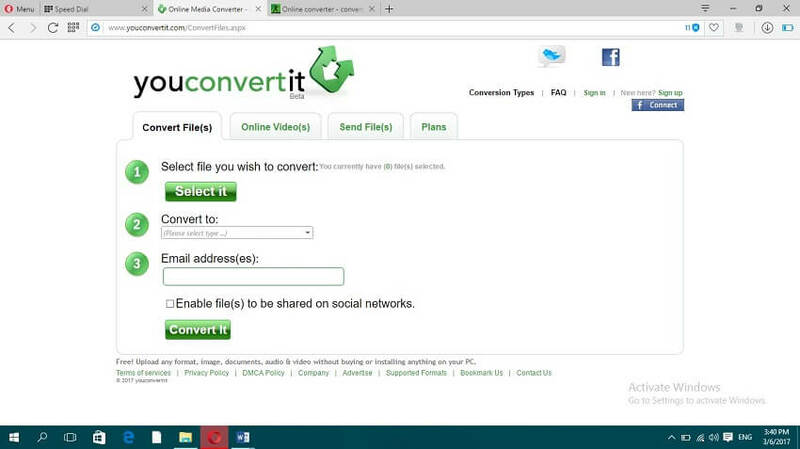 If several files should be converted, then click Convert All button to convert files in batch. It will take seconds to get the desired MOV files. You can click the Output icon at the bottom of the main interface to find the final MOV files. This is a comprehensive list of the best MP4 to MOV converters online detailing their strong and weak points. These tools are listed in no particular order. 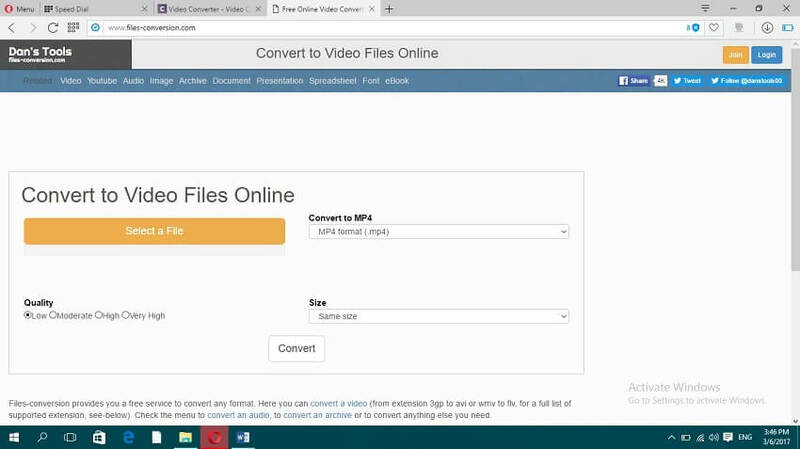 This is a free online MP4 to MOV converter that converts any kind of files. It converts audio, images, documents and videos. Since it converts almost all kind of files, it makes it a one-stop shop for file conversion, no need to go about for each kind of file you want to convert. The software was released in May 2008 by Unitemenets. YouConvertit is always looking forward to adding new file format to the long list of formats it converts, if a user wishes to add a new format, he should contact them and they will “do their best” to add it. The supported formats include MP3, MP4, DOC, XLS, MOV, JPEG, JPG, AAC, WMA, WMV etc. Supports conversion of all file formats. It is a jack of all trade but master of none. It requires you to submit your email address to get converted file. 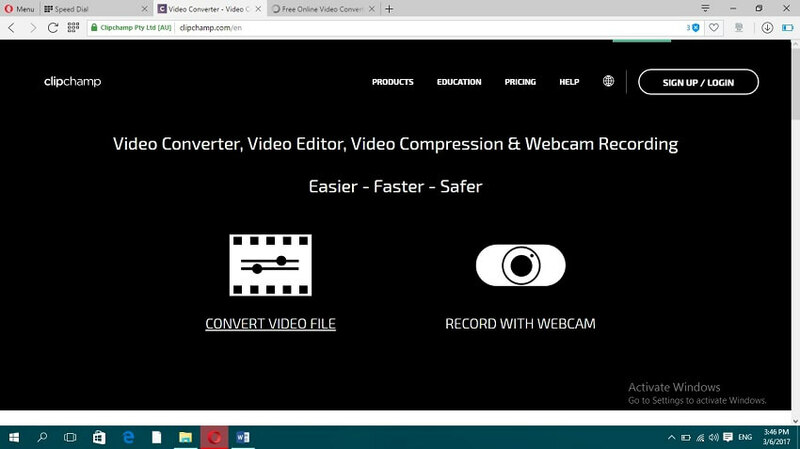 This online converter allows you to convert any video file to MOV format so that you can play the file on Apple QuickTime. It can convert files in AVI, MP4, WMV etc. to MOV. 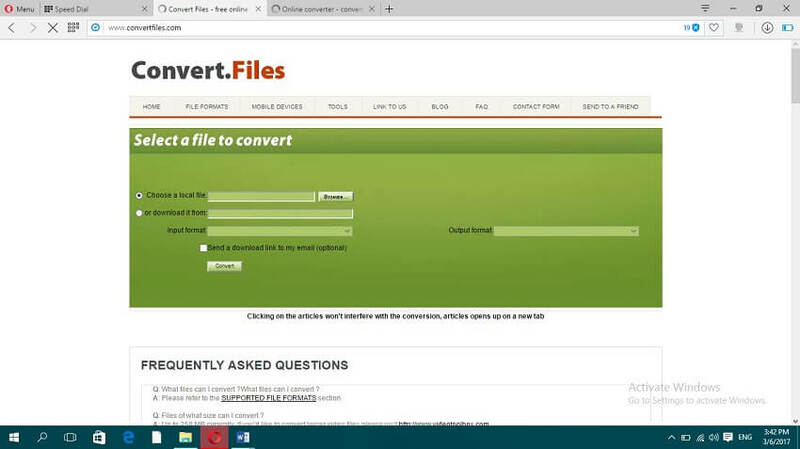 To convert a file, enter the file URL in the box available for that on the homepage of the site or you upload the local file directly, then you click on the Convert File. There is also the option to edit conversion settings to customize video to your taste. Formats supported include 3GP, FLV, MP4, MOV, WMV etc. Allows for the selection of file from cloud storage like Dropbox and Google Drive. Downloading videos after the conversion takes time and data. It is not a master video converter as it converts other files too. This tool is handy for easy and straightforward conversion of MP4 videos to MOV or MOV to MP4 online. It follows a very simple process: you upload the MP4 video to be converted, pick MOV as the output format and click the Convert button. You can also convert video to other video formats like 3GP, AVI, GIF, WMV etc. The link to converted file is sent to one’s email address. There is no option to add URL of the video to be converted, the video has to be uploaded. It supports very few file formats. 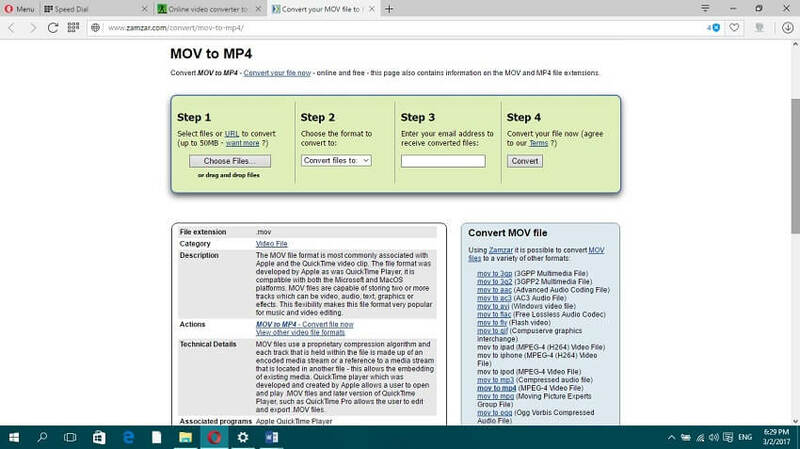 This is a free online MP4 to MOV converter that does more than just convert MP4 files to MOV files. It can record and convert other file formats. 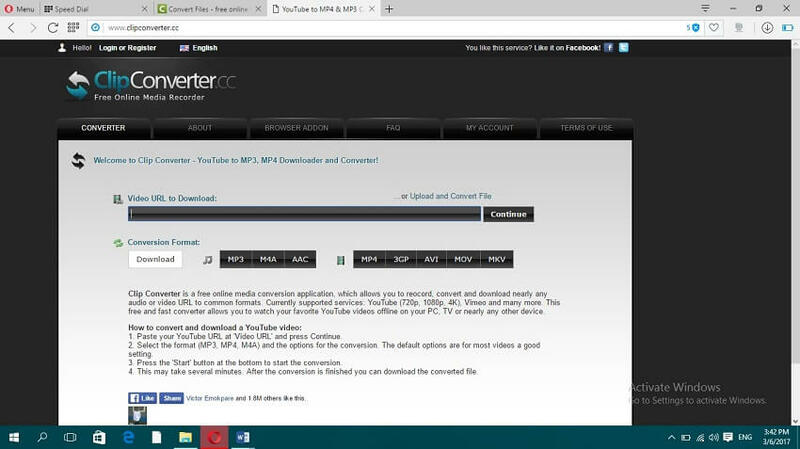 One good feature of ClipConverter is its ability to convert videos on sites like YouTube and Vimeo using the video URL. The supported formats include MP4, 3GP, MOV, MP3, AVI, MKV etc. It can convert videos using URL. The supported formats are limited. The conversion rate is slow. Zamzar has been around for a while and when talking about very good online video converters, it will always be mentioned. Zamzar is also great if you are looking for an MP4 to MOV converter online. It is free to use and it allows conversion of more than one video at a time. The converted videos are sent to user’s email address as they cannot be downloaded directly on Zamzar. Supports conversion through URL and uploading of a file. The conversion rate is not superb. One cannot download converted file right away on site. 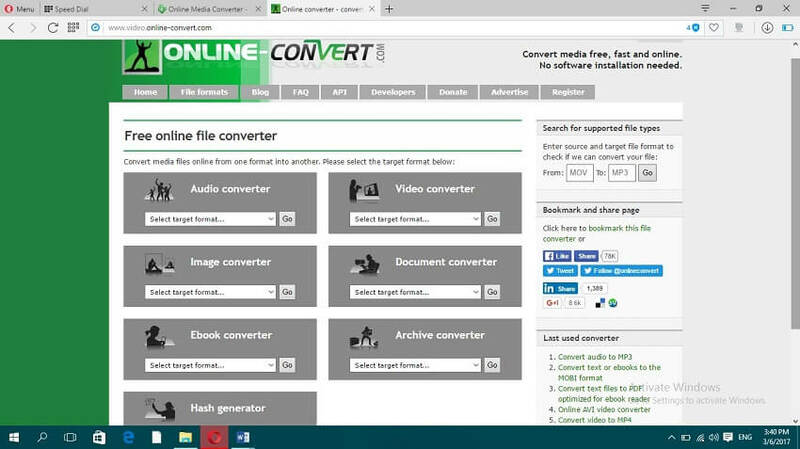 Apowersoft is a great online converter that converts both audio and video files. It comes with a very simple interface that makes it extra easy to use and it has a lot of editing features; making a GIF out of a video, adding subtitles to MP4 video etc. Apowersoft can convert your videos to any kind of video or audio format you want and the converted file are compatible with most mobile devices. Formats supported include MP4, MOV, AVI, 3GP etc. It converts just video and audio files. It supports major formats only. This tool allows you to convert videos online without uploading the videos, which is quite great and a unique feature among video converters. The input formats supported here include AVI, MOV, MP4, DIVX etc. while the output format includes MP4, WebM, MOV, WMV etc. Option to compress video during conversion. You only convert five videos per month for free. It does not support a lot of formats. This is a very simple online MP4 to MOV converter. It converts audio and video files alone, with a number of supported formats like MP4, AVI, FLV, Ogg, WMV, MOV, MP3 etc. It also has the option to choose the quality of converted file; low, moderate, high or very high. Option to choose quality of converted file gives user more control. It doesn’t support conversion of file from URL. The number of supported formats is small. This is a more advanced tool for converting files. It supports conversion of audio and video files with all major formats supported. 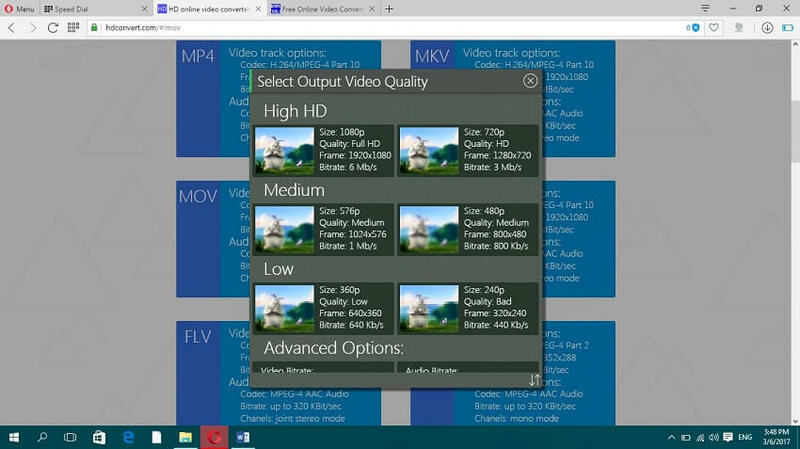 Supported video formats include MP4, MOV, FLV, 3GP, AVI, MKV, WMV, UHD 4K, 3D and UHD 2K. Supported audio formats are MP3, WAV, FLAC, OGG, and AIFF. It supports downloading videos from YouTube. It allows for compression of converted file. It only supports major formats. It does not convert videos quickly. This tool is a great MP4 to MOV converter online, it allows for easy conversion of video files from URL of popular video streaming website like Youtube, DailyMotion, Vimeo etc. as well as uploading local video files. Uploaded videos can be converted to MOV, 3GP, MP4 etc. and there is an option to edit videos to your taste. It supports the conversion of file through file upload and URL. You cannot upload file with size bigger than 25MB. The supported output formats are limited.